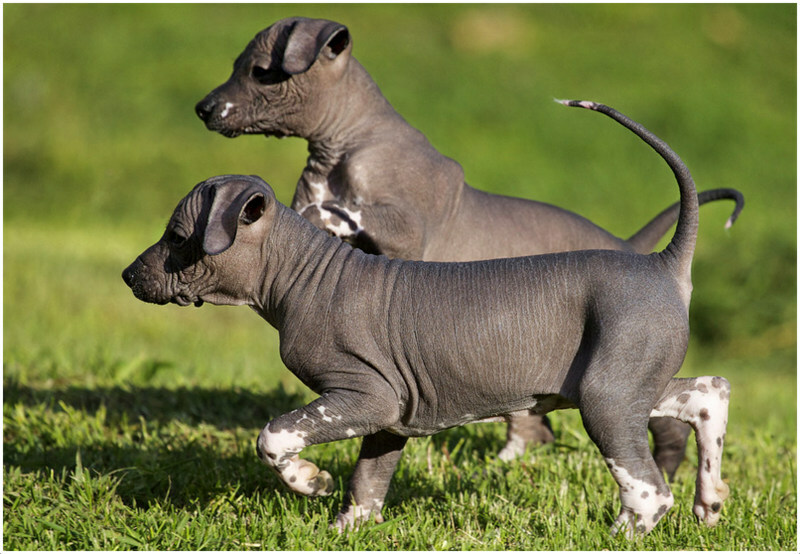 The Xoloitzcuintle is a hairless dog which can be seen in toy, miniature and standard sizes. The country of origin is Mexico and it is commonly called with the name Xolo and is popular as Mexican hairless dog. 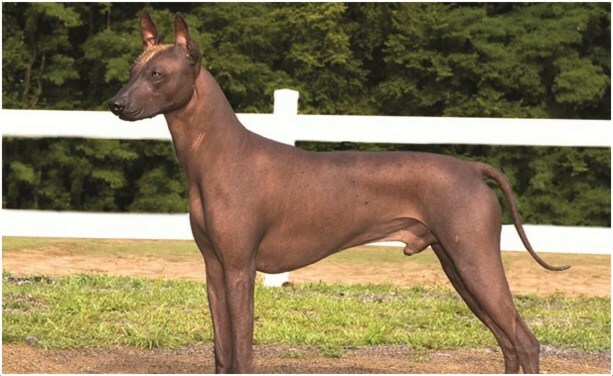 The other names for this dog are Xoloitzcuintli, Xoloitzcuintliu, Xoloitzquintle and Xoloescuincle. It is commonly called with the nick names Xolo and Xolito. 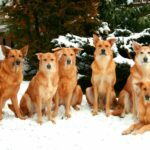 This dog is said to be one of the oldest dog breeds (nearly 3000 years back) but it got the recognition lately after 1950. It is the national dog of the Mexico. The temperament of the dog is said to be intelligent, loyal, calm, active and alert. This dog can be trained easily and it becomes obedient towards the owners in a less time. It is considered as the best watchdog. It is friendly towards other dogs in a very short period. Xolo dog will be friendly with other cats in a less time. The price of this dog is about $600 – $800. It acts as a good companion and protective dog. The American Kennel Club (AKC) officially recognized this dog in the year 2010. In 2012, this dog was shown in Westminster Kennel Club dog show. 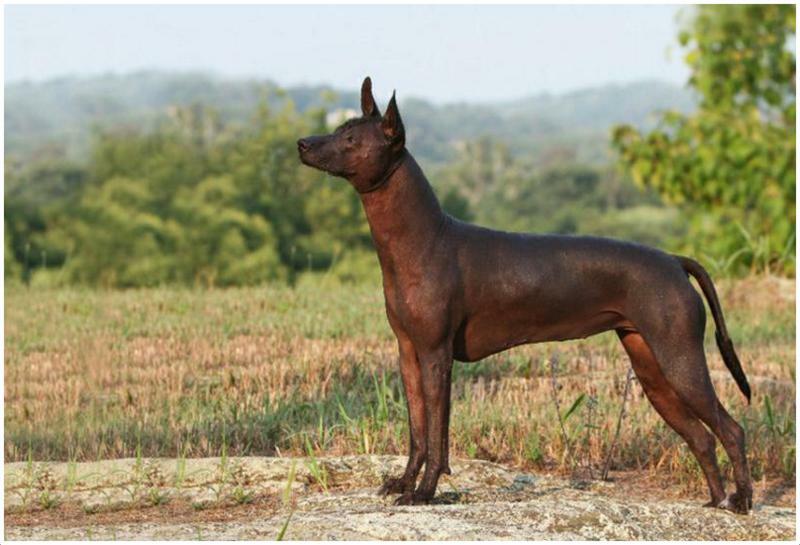 Club Tijuana Xoloitzcuintles de Caliente is a Mexican professional football club which was named after this dog breed. 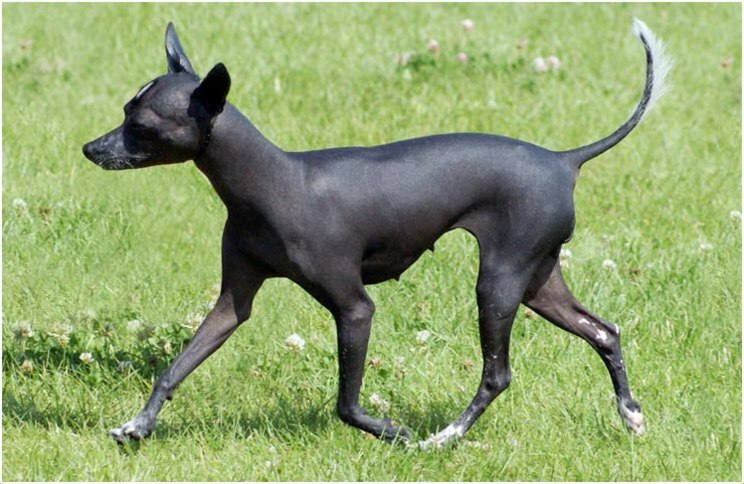 The Xolo dog is said to be the small sized dog breed and sometimes it can appear as the medium sized dog. 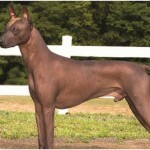 The ears of the dog are long and attractive and the dog is seen in coated and hairless varieties. The most popular is hairless dog which doesn’t have hair on the body except on forehead, tail and feet where very little hair can be seen. The coated dog has a short coat and the hair is present. 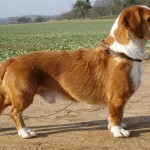 Generally, this dog can be seen in the colors like brown, black, grey, red, fawn, bronze and grey black. 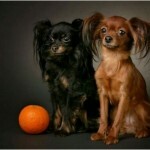 The height and weight standards will vary for toy, miniature and standard sized dogs. All the three dogs will be born from the same litter. 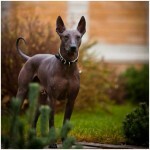 Xoloitzcuintle Toy Size – Height is about 9 – 14 inches (23 – 26 cm) while the weight is about 5 – 15 lb (2.3 – 6.8 kg). 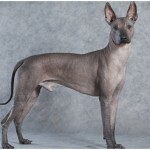 Xoloitzcuintle Miniature Size – Height is about 15 – 20 inches (38 – 51 cm) whereas the weight is about 15 – 30 lb (6.8 – 14 kg). 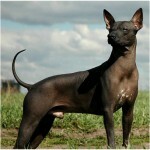 Xoloitzcuintle Standard Size – Height is about 20 – 30 inches (51 – 76 cm) while it weighs about 25 – 40 lb (11 – 18 kg). The Xolo is intelligent, alert, loyal and affectionate dog. 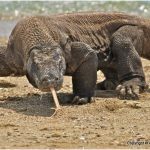 It has good hunting instincts too and it can adapt to the home environment in a short time. It also plays well with the children, but supervision is required when the younger kids are playing with the dog. It likes to stay with the owners all the time and becomes attachable to all the family members. The small puppies will make noise until they become mature. The adult dogs become calm and obedient towards the owners. Generally, the Xoloitzcuintle dogs are very healthy and don’t show any health disorders. 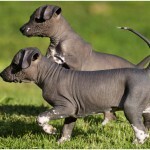 But the hairless dog variety should be taken care from the sun light as they can be sensitive towards hot climate. 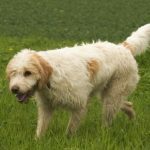 Regular exercise and healthy diet will keep the dog safe and healthy. So, make sure to supervise the dog regularly and whenever it shows any unusual symptoms, consult the vet and take the advice. This dog needs high-quality food and clean drinking water. Feed the dog depending on its size and make sure not to over feed the dog. Feed the meals two times a day and prepare a proper food schedule to maintain the healthy diet. Over feeding may cause the weight gain and obesity problems, so try to avoid it. The Xolo dog is suitable for the apartment living. When the dog is in small age, it barks and makes noise but as they grow up it becomes calm. A house with small yard will also suits well for this dog as it likes to play all the time along with the children. The hairless dog variety should be taken care in cold and hot climates. Apart from that it can be adaptable to home environment in a very short time. The Xolo dog needs regular exercise (limited) and daily walks. The smaller dogs will be the good companion for humans and the big size dogs can be protective. They love to stay indoors along with their owners. 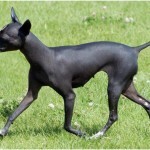 The hairless dog body should be protected from the sunburn and cold temperatures. 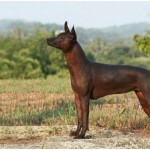 The Xolo dog will become reproductive after attaining a matured age. It can give birth to an average of 2 to 5 puppies. All the three different sized and two coated variety dogs can be born from the same litter. The Xolo dogs are secured and safe as long as they are under human protection. The small sized Xolo dog may possess the danger from other big animals due to its size. So, whenever the dog is out, the owners should always supervise and guard the dog. 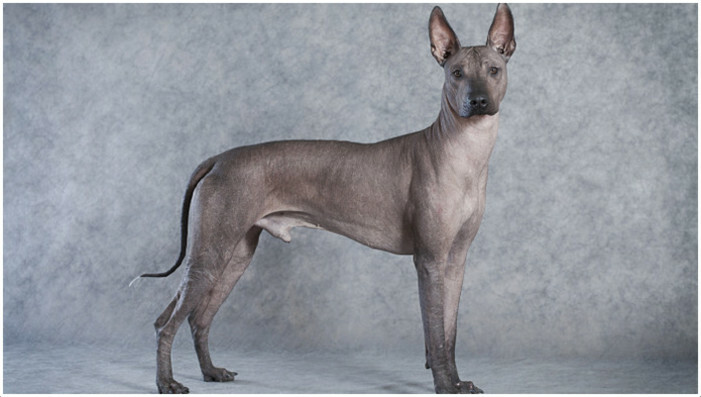 The Xoloitzcuintle dog should get a proper age before breeding. The breeding should be done by the professional so that it can give birth to the healthy and fit puppies. 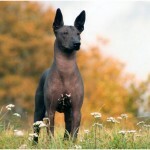 The Xoloitzcuintle dog can live longer up to 18 to 20 years up on proper care and attention. The average lifespan of this dog is about 13 to 15 years. The hairless dog should be washed and cleaned regularly to avoid any skin problems, while the coated dog should be brushed weekly. Brush the teeth of the both dogs once in a week to avoid the dental problems. Also, check and clean the ears of the dog regularly. 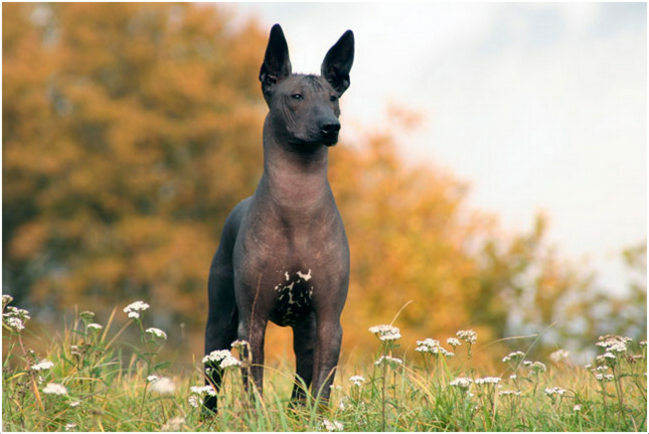 The Xoloitzcuintle dog sheds little to no hair. It doesn’t shed much and keeps itself clean. Regular grooming is sufficient for this dog.